You don’t have to be a travel writer to appreciate a good travel jacket. While it is true that travel writers and bloggers carry a lot of things with them such as cameras, cell phones, I-Pads and such, so do most travelers. In today’s digital age where we feel the need to have our gadgets with us, “just in case we need them”, it is easy to have gadget overload with no place to put them. I recently had the opportunity to review a travel jacket by Global Travel Clothing Company. I don’t do a lot of reviews of gear. It has to be something that I find useful, not just something to write about. When the good folks at Global Travel Clothing approached me I took time to look over the website, watched the video on the site and read about how the company got started before I agreed and I am glad I did. What they have done is to look at a problem they personally had and address it. In doing so they have come up with a product that is not only practical but very useful. Not only is the travel jacket made of quality material and workmanship and has a bunch of pockets to carry your gear it also has a lot of small things built into the jacket that make it useful. I reviewed the Men’s soft shell jacket made of 100% nylon. The jacket comes with two zippered pockets on the outside along with a zippered pocket on the sleeve, great for stashing your cell phone. The inside of the jacket has room for a lot of things to include two large pockets roomy enough for a book or an I-Pad and include elastic straps to keep a water bottle in place. If you’re like me, when you are out and about a bottle of water comes in handy. There are also a couple of vertical pockets where you can store smaller items like a wallet or passport. There is even a small hidden pocket inside to stash some emergency cash. Built inside the jacket are elastic loops which connect via an opening in the large pockets for earphones to be secured and you can turn the larger pockets into two smaller ones by using the Velcro closure. There is a removable hood that also has an eye mask built in so you can catch some nap time when on the flight. They really have thought of everything when they designed this jacket. Built into one of the large inside pockets is a micro fiber cloth for cleaning your glasses and when the jacket is folded up there is a built in strap in the hood so you can attach the jacket to your luggage or backpack. An optional zip in fleece liner turns the light weight jacket to a warmer option and has zippers so you can access the all the pockets on the inside. Anytime you can solve a problem you have a good product. 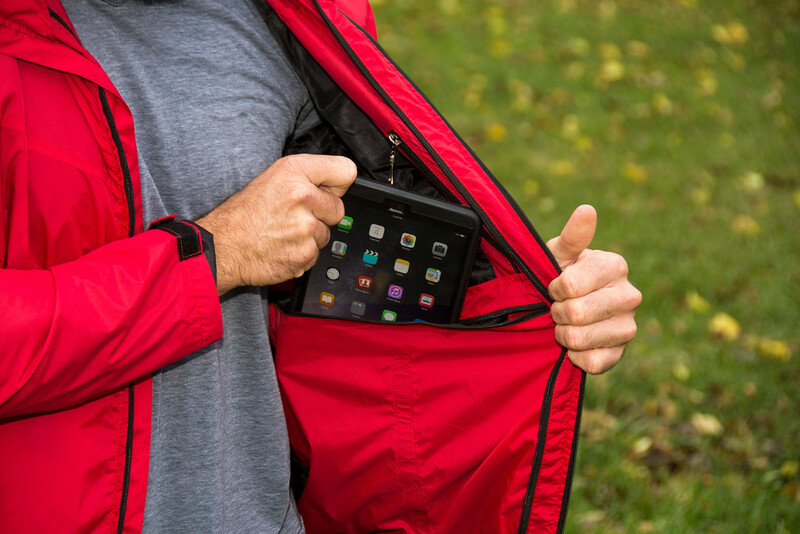 This travel jacket not only solves the problem of gadget overload for the traveler but it is useful for anyone that goes out and wants to take their digital gear with them with them. It is also useful for parents who have to carry bottles and other things with them for the little ones. Whether you are headed out on an overseas trip and have the desire to have all your gear with you in an easy to carry way or you are headed out with the kids to the zoo this jacket fits the bill. 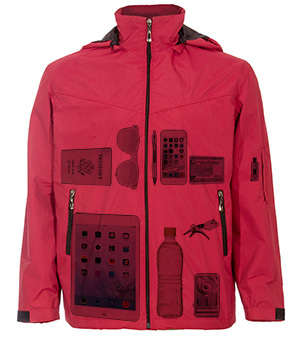 The jackets have plenty of pockets to carry your wallet, phone, I-Pad, books, bottles and more. 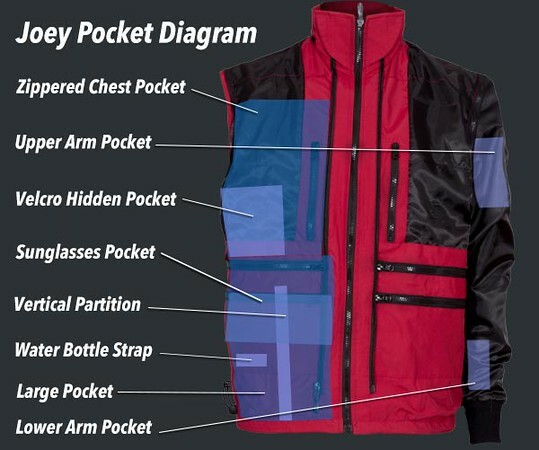 The addition of all the extras allow this jacket to replace your need to carry a bag with you, stuff your pockets with gear and don’t worry about leaving something laying around because you have to carry it in your hands all the time. There are three different models for men and women and they come in a wide variety of colors. The newest entry in the Global Travel Company inventory is the Joey Jacket. Coming in both “Soft Shell” and “Sweatshirt”, the jacket is lightweight and machine washable. The “Soft Shell” is also water resistant. Right now Global Travel Clothing is having a huge Black Friday Sale. Running from Nov 23 to Nov 29, the Joey Jackets are 15% off with FREE USA shipping and the generation 1 Jackets are 20% off with FREE USA shipping. 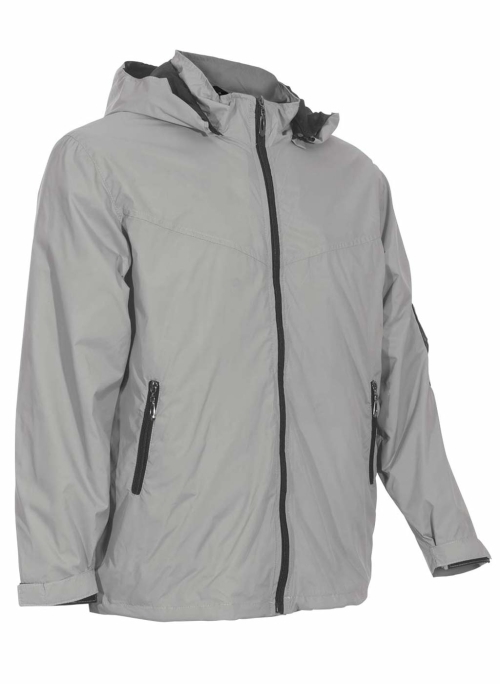 If you ever thought about buying a lightweight, useful, travel jacket this is a great deal. It also makes a great gift for anyone that needs a versatile jacket whether they are traveling or just running around town. I was so impressed with the usefulness and quality of the jacket that I signed up as an Affiliate. I can honestly say if you are looking for a lightweight travel jacket that can carry lots of gear without being bulky then you should take a look at what Global Travel Clothing has to offer. Interesting. I suppose it would be easy to look like I’ve gained 10 lbs. by overstuffing the jacket? I don’t know, it might if you put 10 lbs of stuff in the pockets. Nice looking jacket. I have one similar I got in the UK from Mountain Warehouse with 4 inside pockets. Triple layer and has done me well. Though when I move between places, my gear is in my backpack, with little stuff in a photo journalists vest. Not sure we can get Global Travel Clothing in the UK (like we can’t get Tom Bihn stuff here either – at a decent price)..
Not sure if they ship to the UK or not. It’s a great jacket though. 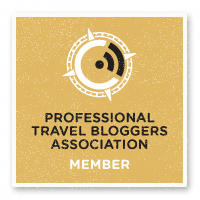 If you click on the highlighted words “travel jacket” in the first sentence it will take you the their company website.